Which Smart would you like to optimize? Check out the power your Smart could produce. MADE IN GERMANY All products are developed and produced in Germany. You are not just driving your car to get from A to B and long, winding roads make your heart leap? We are glad you found us. We will help you to unlock your engine’s maximum performance and make sure that you will never want to get out of your Smart again. There was a problem with the subscription. Thank you for your subscription. Today's Smart is a product of Daimler Benz and is one of the smallest and most efficient vehicles on the European market. The original concept originated with Nicolas G. Hayek, who had previously founded the Swatch Group. Like the Swatch watches, he saw the potential of exchangeable bodywork for vehicles, which wasn't being offered at the time. Today's most popular models are the Smart fortwo and forfour as well as forjeremy and the roadster. A study of the Smart Four-X, a variation in the compact car segment, has caused speculation about Daimler's next designs. The Smart forfour 1.5 CDI is very agile and versatile thanks to its size, but many think it could handle a little more power. 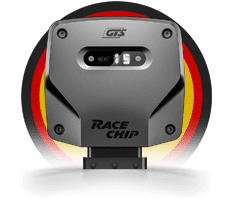 With the Powerbox from RaceChip, you'll boost the series standard 95 HP up to 125 HP, which represents a sizeable power boost with engine tuning. From a compact runabout to a little powerhouse that knows how to shine not only just in the city, but also on the motorway with new features and a certain oomph.